Don't be another brick in the wall. Stand out from the crowd. Be UnClichéd! Google Home -> Ask and Ye Shall be Answered! 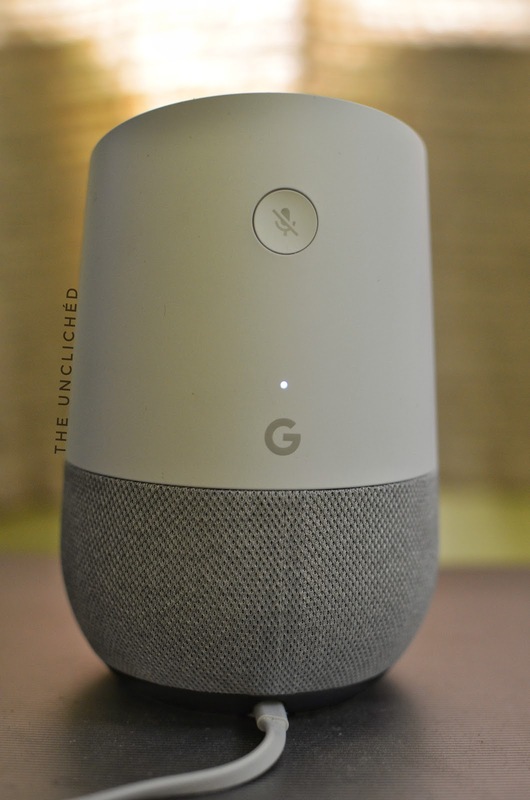 Have you purchased a Google Home/Mini/Max and are wondering what to do it with? Or, can you not make up your mind, if you should buy a Google Home or Alexa? Or, are you simply bored and want to try out some new things with your Google Home? Fret not, we have got it covered. Check out this video. Hope you enjoy it! Make it Sing: This assistant has a range of songs it can sing for you, and it changes every time. Creepy or Cool, you decide! Make Google Convert/Measure : Are you into Baking but hate keeping track of conversions and weights? Google to the rescue. Get conversions, weights of common objects and much more! Get Step-By-Step Recipes: Love eating and hate cooking? This nifty device gives you step-by-step instructions for cooking your favorite items, and you can stop it at any time and restart from there on. Pretty Cool, right? Wake Up in Style: Just Say, Good Morning, and start your day with weather updates, commute time to your office, and news from your handpicked news channels, without having to get up from your bed. Pretty Neat, if you ask me! Hear Poems: In the mood for some literature? It will narrate a poem for you choosing from a large database of available poems and you can please your literature side! Make it do Math: Weak in mathematics, or too lazy to get a calculator or just want to have fun? You can ask it to do various complex problems, and it responds in seconds. No more silly mistakes, eh? Sense of Humor: Ask it to tell a joke(you can eve specify joke types), and it will bend to your will. My favorite part? Ask it about Alexa, SIRI or Cortana! Play Games Hands-Free: Looking for a party trick or two or are you simply bored? The google home lets you play a quiz show, where it asks trivia questions and you need to answer. May the best man(or woman) win! Find Shops Nearby by: Craving for some chocolate, or are you looking for some meds? Fret not, Google has you covered. Play Ambient Sounds: Feeling super-hot? Ask it to play you the sound of a waterfall, or even rain. Feeling cold? Don't worry, ask it to play the sound of crackling fire. A Grammar Nazi. Suave, Savvy, Geeky. Calm,Impatient,Versatile. Ductile, Malleable yet Brittle beyond a point. A true-blue Gemini!